There is a random tradition in our family that each and every Christmas my brother has to be gifted the Guinness World Book of records. I suppose it isn’t weird but like I said random as he is now 24 and has been getting one since his very early teens because he has always found the records fascinating and has read each one from cover to cover. 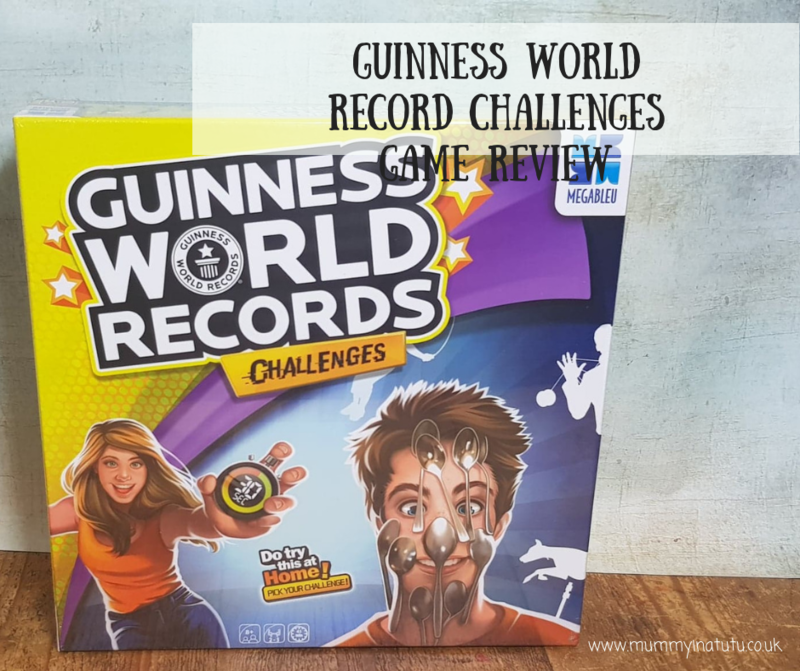 So when I was asked if we’d like to review the Guinness World Record Challenges Game, our tradition coupled with my rather competitive board game family made it an absolute yes – no brainer! 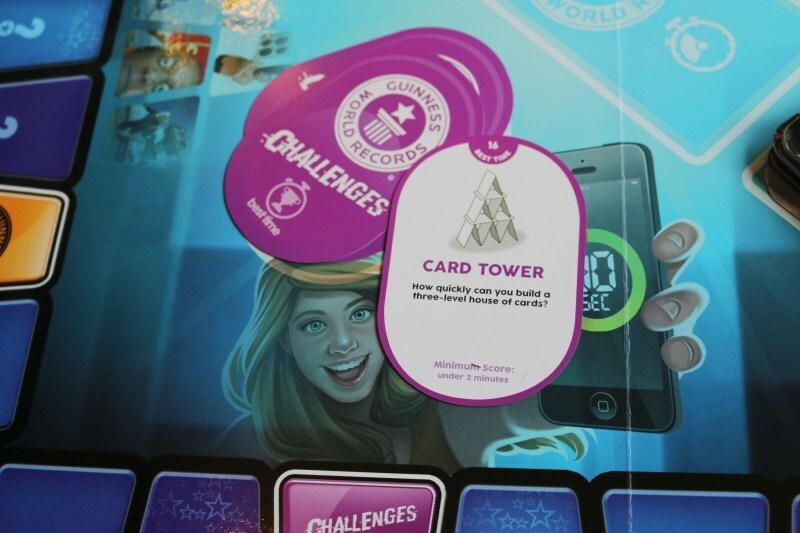 Aimed at players aged eight years and over, the Guinness World Record Challenges game can be played with two-five players, with game play typically lasting for around forty-five minutes. 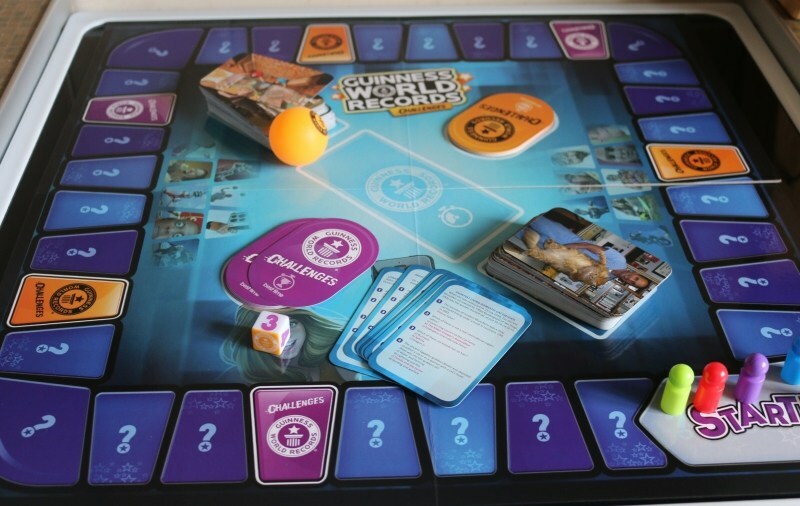 The board game comes with a playing board, 150 double-sided question cards relating to Guinness World Records, 20 challenge cards – 10 are purple Best time cards and 10 are orange 30 seconds cards, a booklet of guidelines for the challenges, notebook, ping-pong ball, 5 playing pieces and a dice. The idea of the game is to see how much each player knows about different Guinness World Records and to also display their own skills in various challenges. To play the game fully you will need a few additional items such as a smart phone or a timer which records to 0.01 seconds, a 500ml bottle of water, various coins and paper clips to name a few. These items are required for the various challenges. When we didn’t have the items required we picked a different card instead, for example, one challenge required 12 stainless teaspoons, we only have 6. 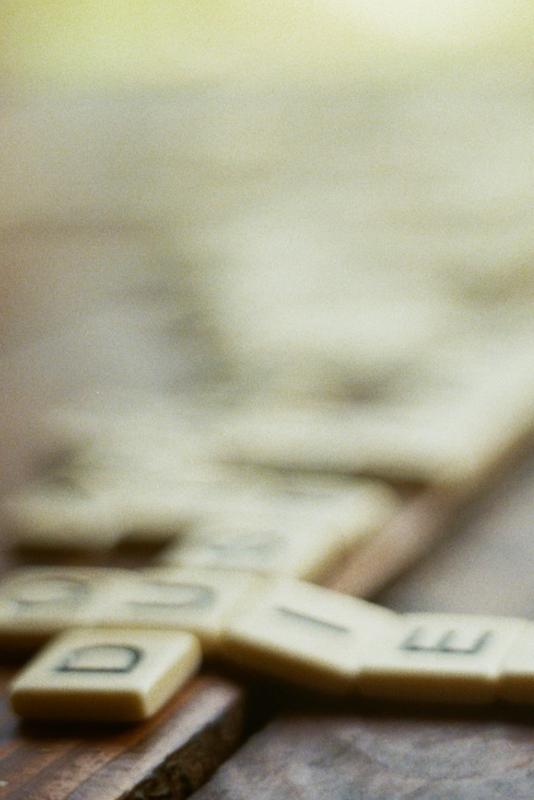 The object of the game is to be the first player with three completed challenges. The winner must hold at least one challenge card from both colours to win. Playing pieces are placed on the Start square, question cards are placed in two stacks, and the challenge cards put on the appropriate spaces. Depending on the number of players you will have a different number of challenge cards in play. Pick a coloured playing piece, and let the youngest player roll the dice to start the Guinness World Record Challenges game. You move your playing piece the relevant number of spaces if you throw a number, but if the dice shows a colour then you move directly to the next correctly coloured challenge space. *We were sent the game for the purposes of the review – all opinions are our own.